We provide exceptional boring, drilling and piling solutions to a broad range of clients NSW-wide. Contact the Robar Boring team for an obligation-free quotation today. 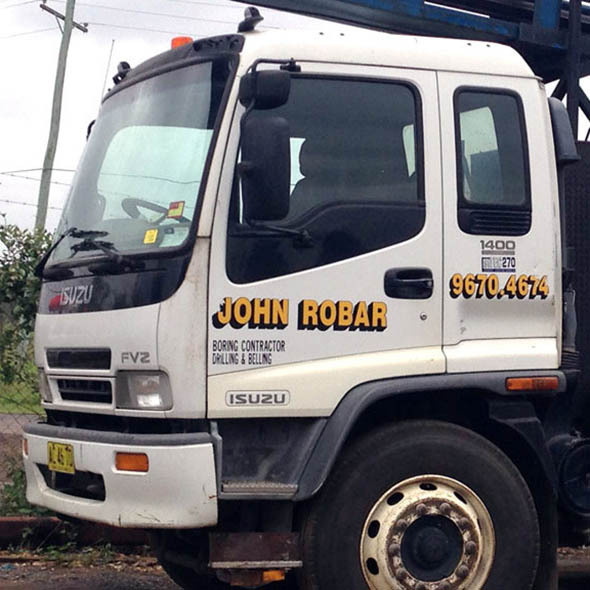 As an industry leader in Boring, Piling and Drilling services for over 48 years, Robar Boring Contractors Pty Ltd (Robar Boring) is a reputable and established Boring, Piling and Drilling company located in Western Sydney. We stand by our reputation that has been built upon reliability, great service, expertise and honesty. We provide exceptional drilling, piling and boring solutions that are executed to meticulous levels of detail and quality. Our drilling solutions fit a multitude of clients. Each project is completed to the highest standard, utilising the best quality equipment operated by highly-qualified and skilled drilling professionals. With a comprehensive Occupational Health and Safety (OH&S) plan in place, Robar Boring undertakes each and every project with a “Safety First” approach. Established in 1969, Robar Boring understands the importance of customer satisfaction. We build lasting relationships with clients and believe this is the key to our business. Ensuring each drilling project runs smoothly.